This Privacy & Security Statement is intended to help you understand what information we collect as you interact with our website, and how we collect, use, protect and share this information. This statement describes the collection, use & protection of information by the website at the URL https://mason.wm.edu/ (aka "this site"). This statement refers to the individual(s), office(s), department(s) and/or program(s) within the Raymond A. Mason School of Business at William & Mary responsible for the design, content, operation & maintenance of this site (aka "we"/"our"), as well as this site's visitors (aka "you"/"your"). What privileged information do we collect? What sensitive information do we share? Our 3rd-party analytics tools incorporate their own privacy & security safeguards. 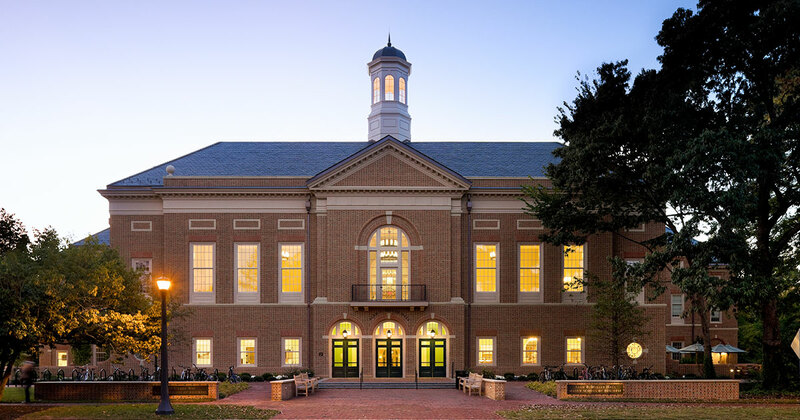 We link to other web sites – both within William & Mary as well as externally – which may have their own privacy & security policies. William & Mary hosts many email communication lists, but they are not managed as part of this site. Many of those lists use the university's central listserv system maintained by W&M IT. Contact W&M IT for assistance with the lists they manage, as well as the point of contact for a W&M email account from which you are receiving undesired communication. Please note – subscription to some official William & Mary email lists are required as part of enrollment, employment or participation in W&M programs. We reserve the right to update this privacy & security statement at any time. Address your suggestions, comments or questions about this site to [[m|info]].